On a hilltop overlooking a beautiful Western Pennsylvania landscape, located 20 miles from Downtown Pittsburgh is Triple B Farms. Since 1967, Ron Beinlich has owned and operated this gorgeous parcel of land that once was home to a beef cattle herd and now boasts many acres of home-grown fruit and vegetables. Ron, his wife Carolyn, their son Bill and daughter-in-law Sue work together to operate this family farm where families can escape for a day of fun in the country. All summer long, enjoy our delicious fruits and vegetables, homemade pies and fudge, jams and jellies and honey from the beehives on our own property. In the Country Market, you will also find Amish butter and cheeses, eggs from our chickens, farm toys and gift items. Bring your children to see our pygmy goats, calf, chickens and peacocks, and play the day away on our farm-themed playground. In the fall, we welcome all of Western PA for "Pittsburgh's Finest Family Apple & Pumpkin Festival." We take pride in offering the region's very best fruits and vegetables, plus a fun place to kick back, play a little and be refreshed by the beautiful country. 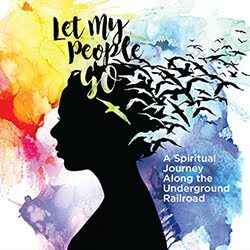 Save $1.00 Off Admission with this coupon! Storybook Pumpkinland - Over 250 pumpkin-headed characters from nursery rhymes and children's movies. Guess their identities! Hayrides to the pick-your-own pumpkin patch. Hayrides to the pick-your-own apple orchard. Big Blue Boo Barn - Mildly scary haunted barn. Feed Bag Refreshments - Remodeled this year! Panini sandwiches and hot dogs, fresh cut French fries, chowder made with Triple B sweet corn, gooey caramel apple desserts, slices of pie, homemade apple cider doughnuts and much more! Rompin' Rope Maze - With a slide in the middle! 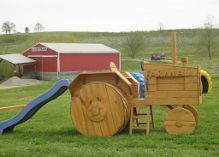 Children's Farm Playground - Cornstalk tunnel, playhouse and playbarn with slides, a tractor for climbing and more. Farm animals - Pygmy goats love to climb their towering ramp and bridge. We also have “BLACK & GOLD” ducklings playing on a water slide, chickens, peacocks and more. Country Market - Stocked with home baked pies fresh from our bakery, homemade fudge, our own enormous and delicious apples, pasteurized apple cider, farm-themed gifts for children, specialty food items and fall decorating supplies. Outdoor Decorating Tent – stocked with gourds, mini-pumpkins, Triple B’s OWN Heritage varieties of pumpkins, cornstalks, bales of straw, beautiful, hardy mums, and more!